Garlic shrimp over fried rice. Baby lettuce salad with tomatoes, cucumber and carrots. Balsamic vinaigrette dressing. And a two-cookie finale! 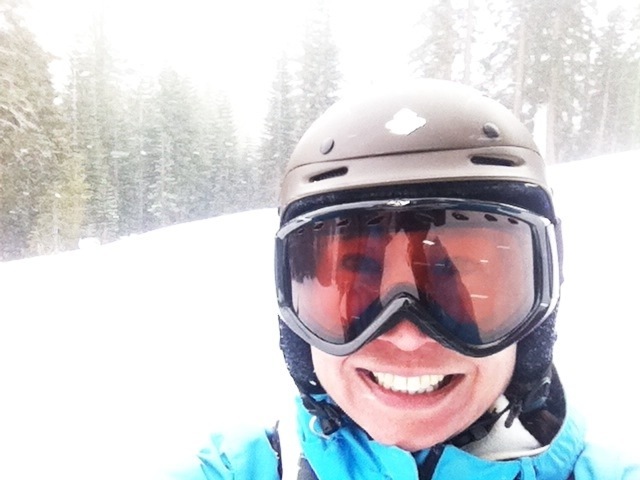 Went to Tahoe this past weekend and had, by far, the best snow of the season. Of course, it hasn’t been much of a season this year. But it dumped from Saturday night all the way through Monday afternoon, when we headed back down the mountain. Got home late in the evening, and it’s been go, go, go ever since. Haven’t made it to the grocery store, much less cooked up a decent meal. So this bento was all about improvisation. Had some leftover rice from the week before, and the remains of the salad ingredients we brought up to the condo, including a vinaigrette I’d hauled there and back in a mason jar. With the help of some vegetables and ginger out of the freezer, the fried rice got a little color and a pop of flavor. I cooked the frozen shrimp in leftover bacon fat and fresh garlic and then squeezed lemon juice over them at the end. Look at all that snow! 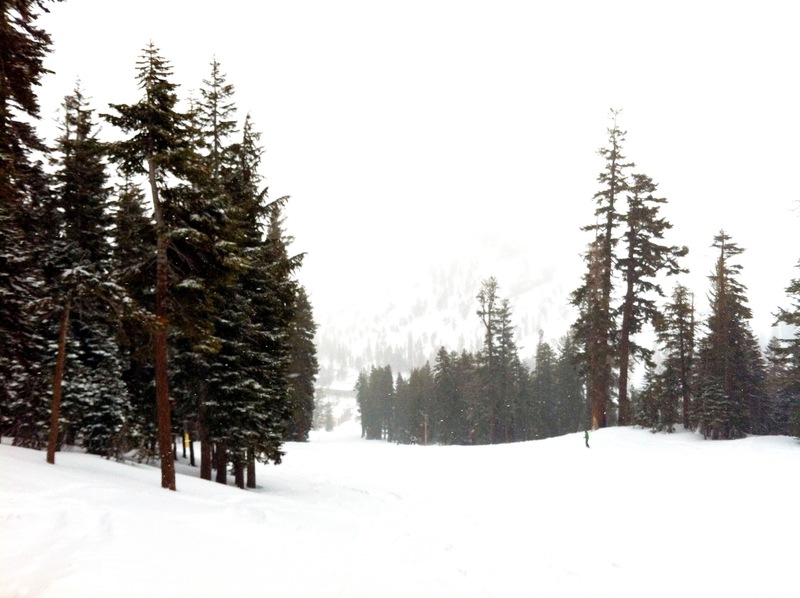 Kirkwood was adrift in white, and no crowds to boot! Happy as a clam in the cold, windy weather. 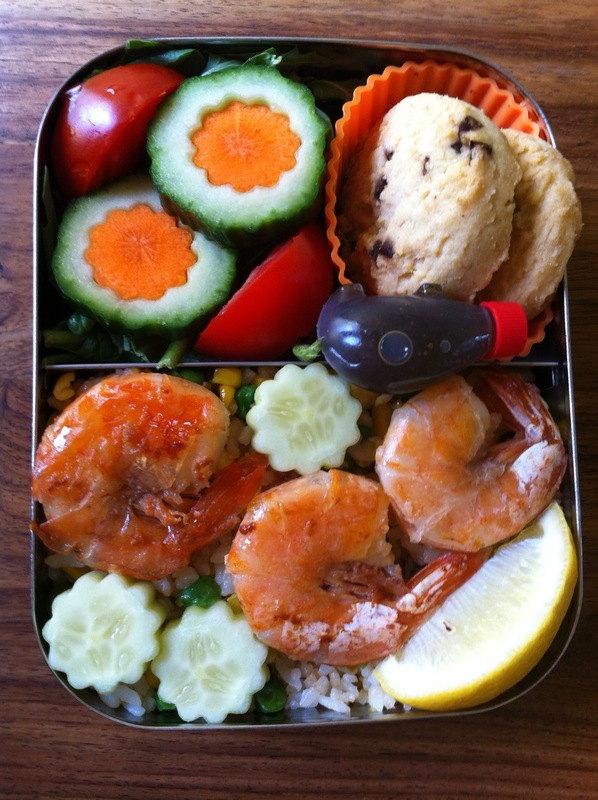 This entry was posted in Bento, California, Food and tagged Asian food, bento, friend rice, garlic shrimp.